Every year I say I will get better organized and try to do everything early so as to no get caught up in the last minute rush. Well, I guess I got caught up with the last minute rush after all! Hope you had a good year. I will not complain about ours, there’s a lot to be thankful for. Sahid has continued with his dual program at the George T. Baker School of Aviation. He is a junior this year and only has one more year to go. He is still interested in the Aviation Mechanics field. This summer he worked at American Ryder, which is a company here in Miami that sells and rents motorcycles. Not only did he loved it but they loved him and want him back next summer. He got his driver’s license & unbelievable, his first ticket! Who drives 52 mph in Pinecrest when you know it’s strictly 35 mph!!!! So, no driving for the rest of the year and yes, he will have to pay back the +/-$300 fine!!!! He also went to his first college fair – talk about feeling old! During Labor Day we took a trip to Melbourne to visit our dear friends Regina & David and were able to visit the Embry-Riddle University campus, which is one of the school he really likes. 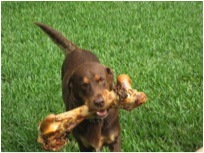 Johann continued his Biology studies at Texas State and will graduate in May of 2012. He is seriously considering joining the Peace Corps. There are a lot of benefits attached to this once he is through. It will also be a great experience for him, not that he hasn’t led an exciting life with all his world travels, it’s just something more attractive to add to his resume. He came for Thanksgiving and is here to spend Christmas with us. Pedro is still doing his short-term contracts besides the contract he has in Miami with the web development company. This year his travels concentrated on the Caribbean and Central America: Dominica, St. Lucia, Belize, Grenada and Jamaica. The good thing about this was that when he traveled to the islands he had to go through Puerto Rico and would stop and see his mother and family. He loved spending time with his mother, she is 90 years old. As for myself, I didn’t stay still, so what is new. On January 30th I ran my first ING half marathon, 13.1 miles and my running partner, Martha did the full marathon, 26.1 miles. I have never experienced such an exhilarating moment in my life, thousands of people (+/-24,000) so excited about the run. Now I know what it means to get “Runner’s High”, I sure had tons of it. Her and I are proud to say that we ran the whole time and that our training, our support for each other and our enthusiasm to accomplish what we had set ourselves to do paid off because our goal was to complete the marathon. This was our battle to win and we did it our way being the fighters that we are! I also did a Corporate Run, a 5K in April, but it was SO HOT, I can’t believe I even completed it. 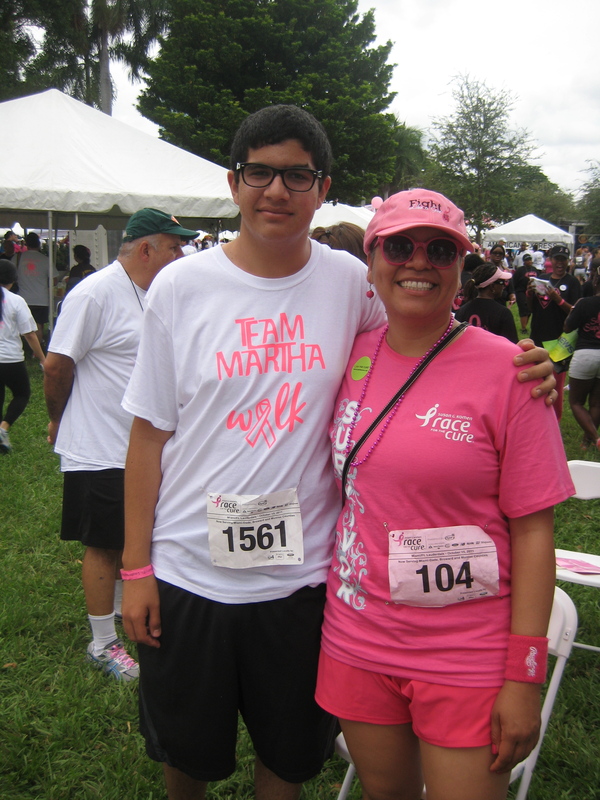 In October I did the Susan G. Komen 5K Race for the Cure to support my running partner Martha, who was diagnosed with breast cancer after the ING Marathon. Pedro and Sahid and Mariel and Josefina from the book club walked the 5K. I’m excited to say that Martha is cancer free now and we’re planning to run the Disney Half Marathon in the Fall! She has and will continue to be my source of inspiration to leading a healthy life and to being a good human being. 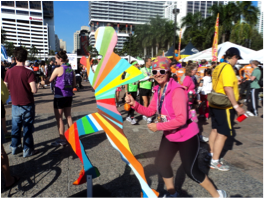 In November, I ran the Key Largo Bridge Run, a 10K, another gorgeous run. Pedro and Sahid walked a 5K while I ran. And of course, afterwards we pigged out at Walter’s Coffee Shop. 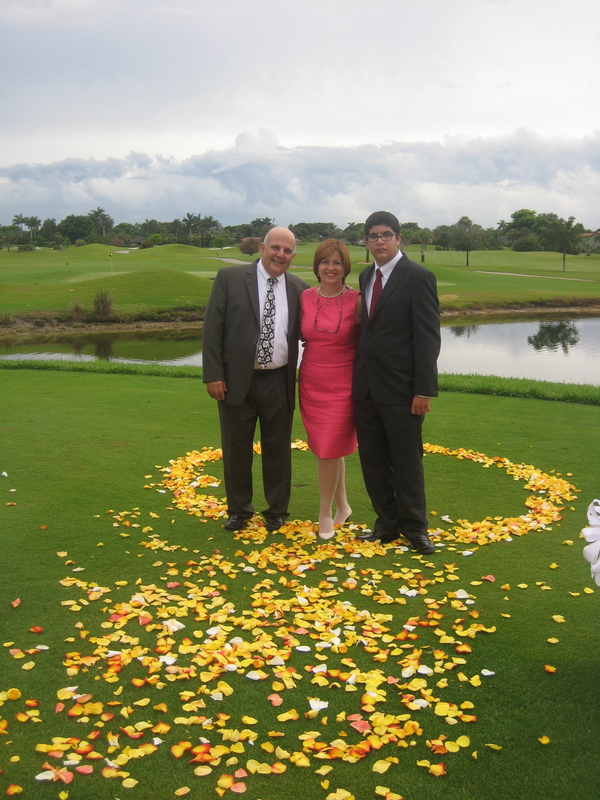 We attended several events that are worth mentioning. One was an American University event here and the main speaker was a former professor of mine, Dr. Gary Weaver. I brought to the event the book we had used in the class I took with him, “Cross-Cultural Communication”. He couldn’t believe I still had the book – well, I just loved the class and must confess that my girlfriend Terri & I thought he was the handsomest professor at the School for International Service at AU!!! We also attended a talk at FIU and the guest speaker was Lech Walesa, former President of Poland and solidarity leader. That was simply amazing! And of course, I went to see Raphael in concert again with my sister in law and some of her friends, as well as Josefina & Maria Teresa from the book club. 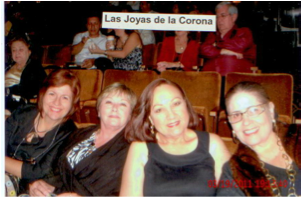 We are now officially called “Las Joyas de la Corona”, as Raphael calls his ‘old’ repertoire of songs. I screamed and sang and was almost hoarse by the end of the concert. I also attended a “Book & Book” event where Esmeralda Santiago presented her book “Conquistadora”. We read the book in our book club, quite fascinating. 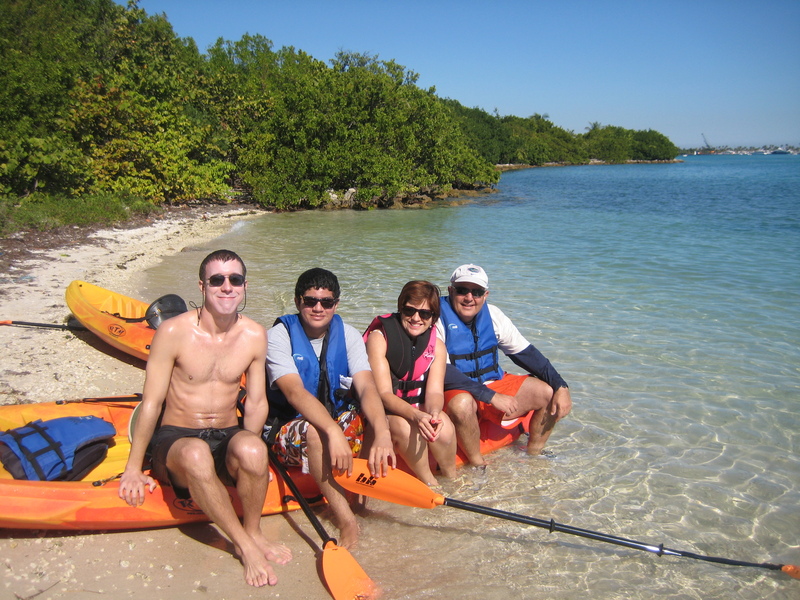 A big change for me was getting a new job at FIU with the Legal Studies Institute (LSI). I resigned to my job at the College of Business in April, as it wasn’t working out and immediately started working at LSI with a previous supervisor of mine from my previous work at FIU. It was definitely a positive change. LSI’s main program is the paralegal certificate program, on campus and online and I help out with marketing, social media as well as other very exciting tasks at the office, I love my job and the team is wonderful and full of energy. I still have my job with the US Nuclear Regulatory Commission and I’m proud to say that once again I got performance award from the Commission. I can’t believe it has been 8 years since I’ve been working with them. In June I went to Atlanta for the yearly training. It’s always nice to go up and see a lot of the people I know that I don’t get to see that often and of course, I baked “mantecaditos” to bring to my adopted PR kids there :-)! The week after Thanksgiving I drove up to Stuart to help out at the St. Lucie Nuclear Power Plant that is located in Hutchinson Island. It is absolutely gorgeous up there and quite different from Miami. I might be going up a few more times until the new person comes on board. The book club continued to thrive and we now have 10 members. This year we read excellent books among them: La Familia de Pascual Duarte-Camilo Jose Cela, The Help – Kathryn Stockett, La Catedral – Vicente Ibanez, The Paris Wife – Paula McLain and Conquistadora – Esmeralda Santiago among others. 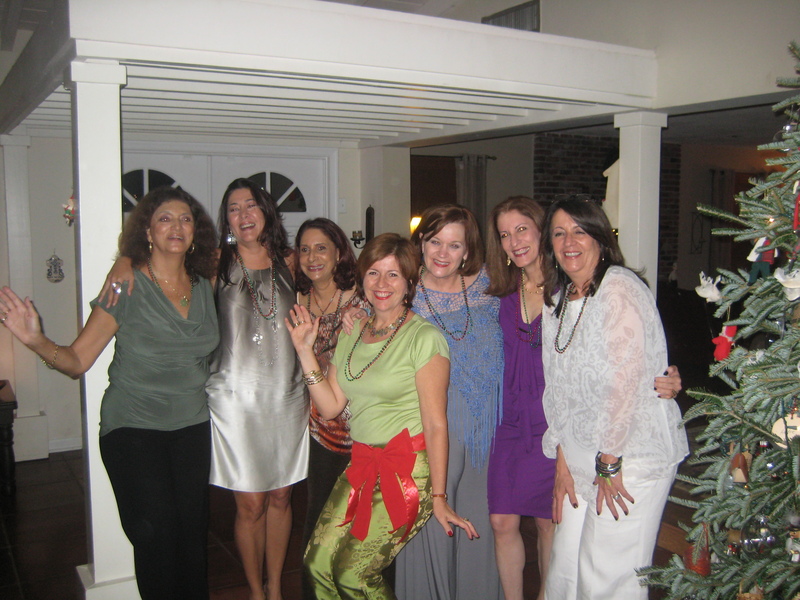 This picture is from the book club Christmas party – some of the members unfortunately couldn’t make it. What a wonderful group of women coming together to discuss a book, to talk about issues that affect us all one way or another as women, to have a glass of wine or various glasses, to solve the world’s problems or simply be silly and talk about George Clooney or Brad Pitt :-). It’s special, it’s therapeutic, and it’s unique. I love them all and thank God for having them in my life. 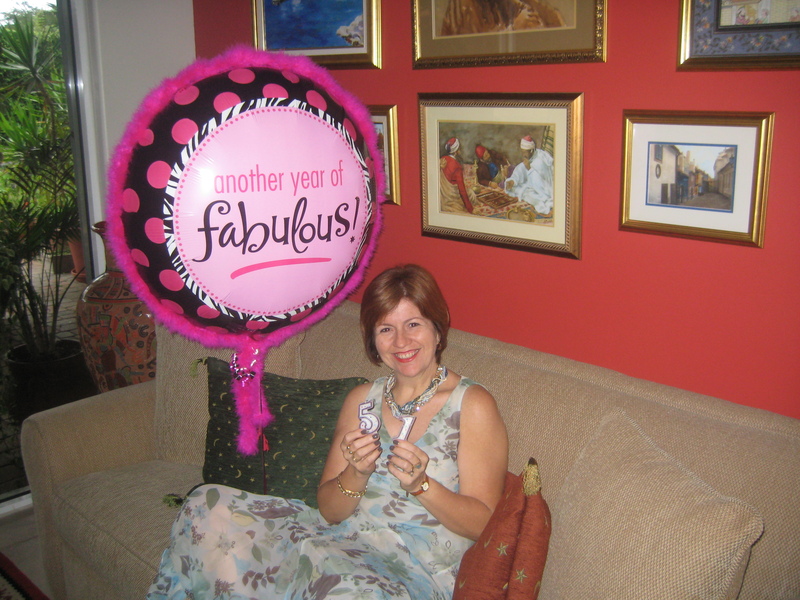 I made a promise that I would celebrate all my birthdays after “50”, so the tradition started this year with my 51st. This month all the Christmas parties started, from neighbor parties, office parties, to university parties, to book club parties and fancy parties…all too much fun. And what a small world this is, at my neighbor’s dinner party I met a Puerto Rican woman who moved here many years ago and she used to be my “Brownie & Girls Scout” assistant leader!!! Can you believe that?!?!?! What a small world this is! 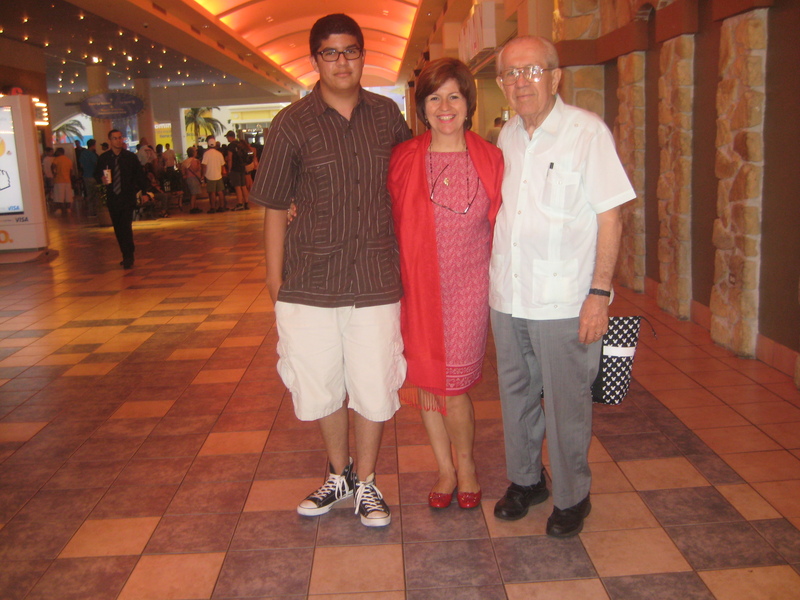 In July Sahid & I went to Puerto Rico to visit my father who is 87 and looking good as well as Pedro’s family. We had a wonderful time as always and it was nice to be able to spend time with family. It was special for Sahid to be able also to spend time with his grandparents and aunts and uncles. 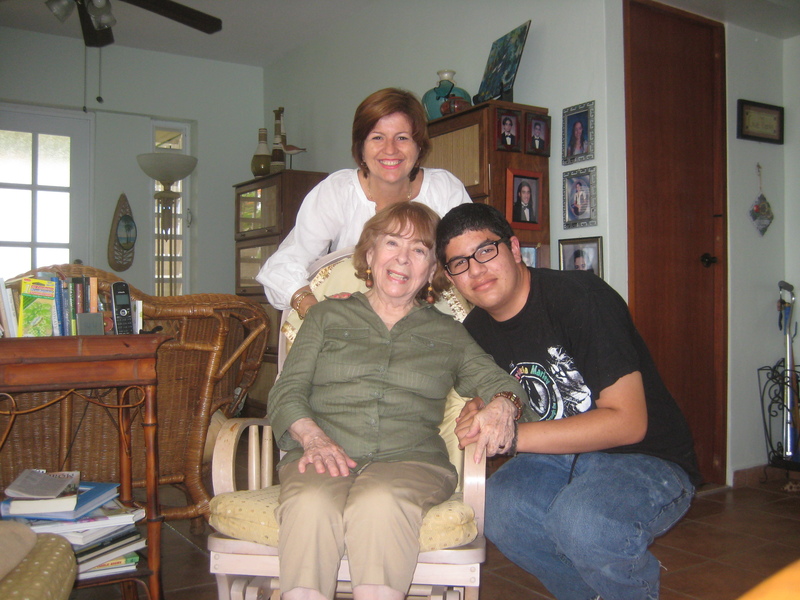 We also got to see my second mother, Myriam – and of course we went with her to La Bombonera! We stayed at our apartment in Luquillo and got to enjoy the beach. My friends from graduate school, Gisela and Cedric were there so they came over for dinner one night. It was great fun to see them again. 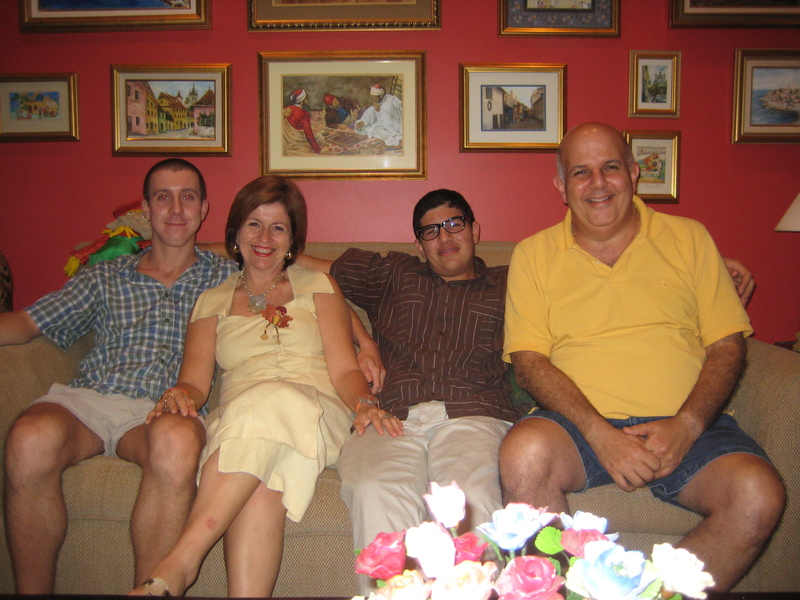 Sahid traveled to Orlando in the Fall and met up with his uncle, aunt and cousins. He was back to being a child and visiting Disney. During Labor Day we visited David & Regina in Melbourne and with Ambrosio, Maria Elena & Diana, so the old expats from Bulgaria got to meet again and talk about our wonderful days living in Bulgaria. Two big events for me this year, my first speeding ticket and I performed a wedding as I’m a notary public. My speeding ticket, nothing to be proud of, and I thought it was totally unfair as I got it in an extremely rural area on the way to the nuclear power plant. Well, it took me 51 years to get one, while it took Sahid only 16! The wedding, my bosses’ daughter. What a gorgeous wedding and we had so much fun! In a way I’m glad this year is over with all its ups and downs. I’m very positive about the New Year that is about to start. We’re blessed with a beautiful family, with a beautiful home, with health and with work. We have wonderful friends. We can’t ask for anything more and we are more than thankful. I pray for peace, for an end to world hunger and abuse, for a cure to all diseases, for all of you to be healthy and lead joyful lives. We’re here today and don’t know where we’ll be tomorrow so let’s live each day we’re on this earth to the fullest and thank God for waking up and opening our eyes to a brand new day. Happy 2012! You know were to find us, we’d love to see you. Rocket with his Christmas present!